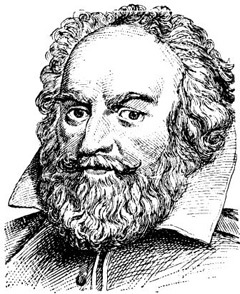 George Chapman was an English dramatist, translator, and poet. He was a classical scholar, and his work shows the influence of Stoicism. Chapman has been identified as the Rival Poet of Shakespeare's Sonnets by William Minto, and as an anticipator of the Metaphysical Poets. Chapman is best remembered for his translations of Homer's Iliad, Odyssey, and Batrachomyomachia.